About – TAMARACK Preserve Ltd.
Tamarack Preserve opened in 1991 as a non-proprietary hunting and fishing membership club. The Club leases lands primarily from the Bontecou Family for members to pursue upland birds, trout, bass, ducks, deer, turkey and geese. One of the primary reasons for the forming of Tamarack was to provide a vehicle to allow the lands to remain undeveloped and further the agrarian and sporting use of the property. The lands have been farmed, hunted and fished for over 80 years. 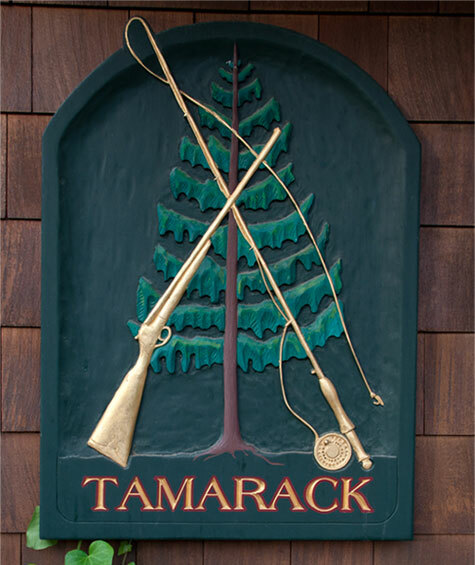 The philosophy of Tamarack is to provide a relaxed and responsive atmosphere in which sports men and women may pursue fish and game. The Club also offers a challenging sporting clays course, shooting and fishing instruction, an attractive clubhouse restaurant and rustic lakeside fishing lodge for weekend dining, entertainment and social events. Copyright © 2017-2019 TAMARACK Preserve Ltd.